A large body of research shows a weekly Gratitude Journal is a simple way to help anyone - even physicians - be healthier and happier. It is an antidote to our constant focus on disease, problems and the frustrations of modern medical practice. In this article I will share the research evidence for the effectiveness of gratitude, including a gratitude bibliography, and show you five keys to a maximally effective Gratitude Journal. Hint: there is a dose response curve. If you over do it, even gratitude loses effectiveness. Without a regular practice of gratitude, you are at high risk for falling into "Eeyore Mode". You remember Eeyore. He is the donkey in the Winnie the Pooh stories who is always losing his tail. Many of my physician burnout coaching clients sound just like Eeyore when I first meet them over the phone. Often I am not the first person to tell them about this resemblance. They are no fun to be around. It is a real bummer for your staff, family and significant other to listen to the continuous whining. 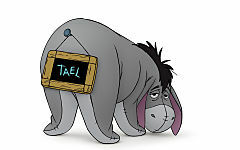 Eeyore Mode is very common among physicians and totally avoidable. Given the conditioning of our medical education, it is no wonder that we often feel hemmed in by problems and overwhelm on all sides. We are trained over a minimum of 7 years of med school and residency to diagnose and treat. We are taught to find the "unifying diagnosis" and focus everyone's efforts on eliminating this problem. At no point in our medical education are we taught how to devote any shred of our awareness to the things that are going right in our own life or the lives of our patients. Eeyore is the natural result. 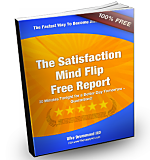 Understand that the gratitude journal has been studied scientifically for years now. 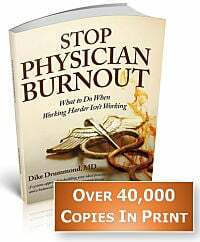 The research evidence is strong for the following key benefits ... all of which help combat physician burnout. A Gratitude Journal is just a variation on saying grace. Taking a moment to be thankful for your blessings. Grace is a system of giving thanks. It is a pattern of slowing down and saying thank you in specific situations with your family. A Gratitude Journal is just saying grace on paper. Research shows these five steps give you the most effective way to write in your Gratitude Journal if more happiness and satisfaction - and less physician burnout - is what you are seeking. Putting your "things I am grateful for" list down on paper is important. This does not have to be a big list. Your gratitude becomes crystal clear when you imagine the absence of the good stuff. Just like George Bailey in "It's a wonderful life". ... really ... take a couple breaths to really feel the blessings. Yes there really is a gratitude dose response curve. Once a week is optimal. You can easily tack it onto your Schedule HACK activities on Sundays and make it a gratitude session for the whole family. If you need help getting started lower your standards! 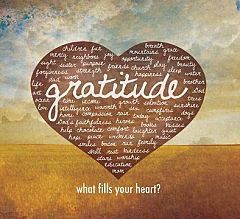 When you start to look at gratitude regularly, you will begin to notice all blessings raining down on you 24/7. Your Gratitude Journal gives you a weekly shift in perspective and keeps Eeyore at bay. It is much more powerful than that. - The research community and I ARE highly recommending you take just 10 minutes a week to balance your awareness and focus on the things you are grateful for. 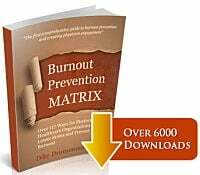 It is research proven to make a positive difference in your life, help protect you from physician burnout and give you a powerful weapon in the battle against Eeyore. Emmons, R. A., & McCullough, M. E. (2003). Counting blessings versus burdens: An experimental investigation of gratitude and subjective well-being in daily life. Personality & Social Psychology, 88, 377-389. Froh, Jeffrey J., William J. Sefick, and Robert A. Emmons. "Counting Blessings in Early Adolescents: An Experimental Study of Gratitude and Subjective Well-being." Journal of School Psychology 46.2 (2008): 213-33. Parks , A, C, Della Porta, M. D., Pierce, R. S., Zilca, R., Lyubomirsky, S. (2012). Pursuing happiness in everyday life: The characteristics and behaviors of online happiness seekers. Emotion, 12(6). 1222-1234. Seligman, M.; Steen, T.A. ; Park, N. and Peterson, C. (2005). “Positive psychology progress: Empirical validation of interventions,” American Psychologist, 60:410-421. Lyubomirsky, S., Sheldon, K. M., & Schkade, D. (2005) Pursuing happiness: The architecture of sustainable change. Review of General Psychology, 9(2), 111-131. What are you grateful for and what is your experience with a Gratitude Journal?